Caitlyn de Beer: Get Fit Friday: Guest post with previous non-runner turned running enthusiast!! Get Fit Friday: Guest post with previous non-runner turned running enthusiast!! Often when I share with others about my passion for running, I get a blank look and then something along these lines, "Do you honestly find running enjoyable?". With this in mind, I decided to get my mum, previous non-runner, current running enthusiast to share some tips with you, on how she got hooked on running and how she stayed motivated to create a habit of it!! 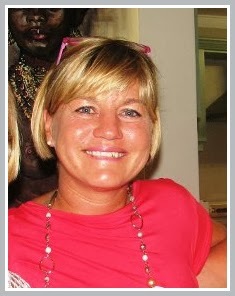 My name is Sue Keal, I live in misty Kloof in KwaZulu Natal, South Africa . I am a part-time lecturer/teacher at Varsity College (an Independent Tertiary Education Institute in Durban ) and live with my husband, Dave, and am the mother of a son , who is about to start his studies at UCT, a son who is an Honours graduate , about to head off overseas for a year , and a married daughter , who lives with her husband in South Korea. 2. So, today’s hot topic is all about running and where to begin. With this is mind, have you always been considered a runner? I started running about a year ago in an effort to lose stubborn weight around my girth! To begin with, I ran 4 kms 3 times a week and found that exhausting . After being diagnosed with a tumour in my glutes ( buttock muscles) and having it surgically removed in June 1013 , I decided that it was time to get “seriously fit “ . I had breast cancer in 2009 and went through both chemotherapy and radiation, so a life change was definitely a “must” ! 3. If not, please share with us what motivated you to get into running? As a non- runner prior to Nov 2012, it was not an easy task to get motivated to run ! Weight loss was my biggest motivator, coupled with the fact that the rest of my family ( children and husband )love running and are good at it ! 4. Have you always been active? I have always been active, having done 4 Argus Cycle Tours in Cape Town, swimming fairly regularly and being an irregular “ gym bunny “ . I played tennis on-and-off while my children were growing up, but am averse to competition. By cutting down on my days in the gym , I felt the need to exercise regularly and swopped gym days with running/walking days . Had I not done a mixture of running and walking ( and still do) I would have given up within a month ! I am kind to my body and walk when I am feeling achy or sore and wish I had started running in my twenties as there is much to be said for “ muscle memory”! A good strategy for beginner runners ( and I am still a beginner ) is to run from one lamp post to another , then walk between lamp posts and alternate , until your running spurts outweigh your walking . 6. Truth revealer!!! Does running really get easier with time or is that just running jargon? Yes, running does get easier , but the first 2kms are difficult for me on any day and I find I enjoy it more if I walk for 5mins , then start running slowly and speed up when my breathing allows! I still run 3 times a week and have not run more than 10kms ever!! I have lost 5kgs in 6 months . 7. Any tips for non-runners who are contemplating starting out? Start by alternating between running and walking , even for a month. Don’t let more than 2 days go by without running/ walking as you need to establish a habit . Be kind to yourself & don’t compare yourself to other experienced runners –it is demotivating!!! Start today! You won’t regret it! Good question!! 8. Lastly….When’s your next race?? I haven't entered one yet but will get onto Google today to find a 10km that I can do - the beauty around me is a huge motivator! I never thought I’d be able to concentrate on my surroundings while I run. If you have any questions for either my mum or me, please use the comment section below and we'll reply as soon as we can :) Happy running! !